Description A special modern dining table with a distinctive base made of steel rod, with a chromed, black nickel or matt lacquered finish. Top available in transparent, white acid treated or black acid treated glass (all 15mm thick). Acid treated glass has a textured, opaque finish. The successful Octa dining table is now available with a round glass top – transparent glass and white/black acid treated glass tops are available in various sizes. 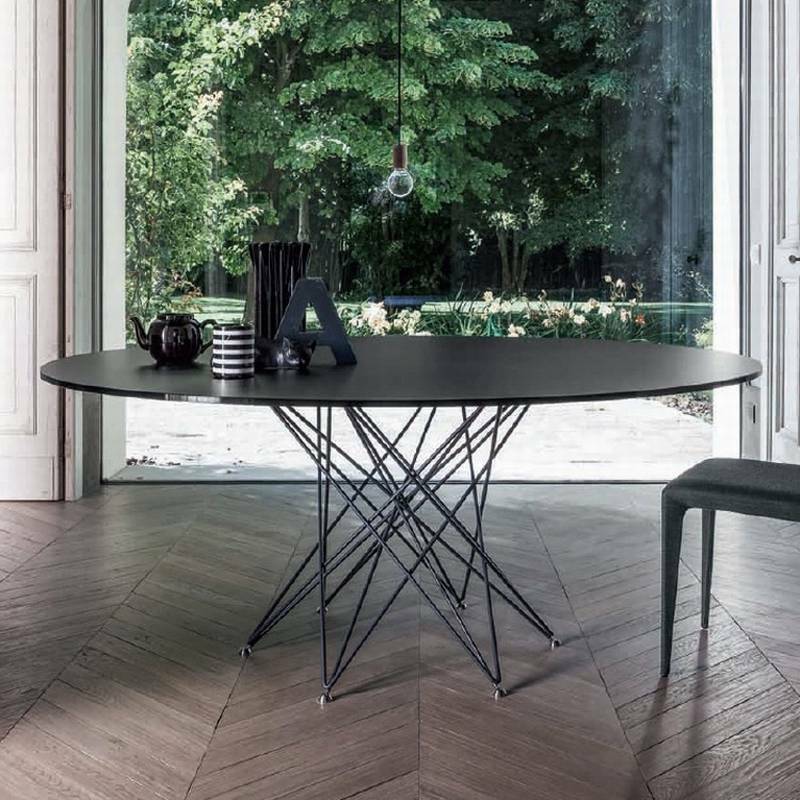 The eye-catching and innovative steel rod base that made the original table so popular is unchanged for the round version, with a choice of chrome, black nickel and lacquered finishes.